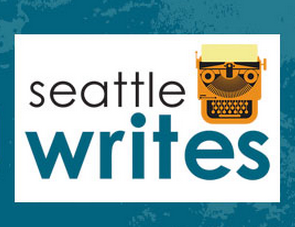 I’m so thrilled — and proud — that my library is offering a series of writing programs throughout Seattle this fall. And they’re all free. I worked with fellow librarians Andrea, David and Paige on proposing “Seattle Writes” as a pilot project last year, and this year we applied for grant funds again to make it even bigger and better. The result is fourteen creative writing programs and workshops and a panel discussion on writing for teens. AND through a separate grant and librarian team, Seattle Public Library is also offering free classes for indie authors on how to find outside help to polish your manuscript, how to format it for e-publishing and how to market it. AND through that same indie author program there is a self publishing contest with Smashwords. Three books will be selected to be added to the library’s collection. Check out the full Seattle Writes offerings. I’m especially happy that we have programs that focus on writing picture books, writing funny for kids, and writing for teens.